This pink golden lacquer bangle set offers a rush of glittery colors. 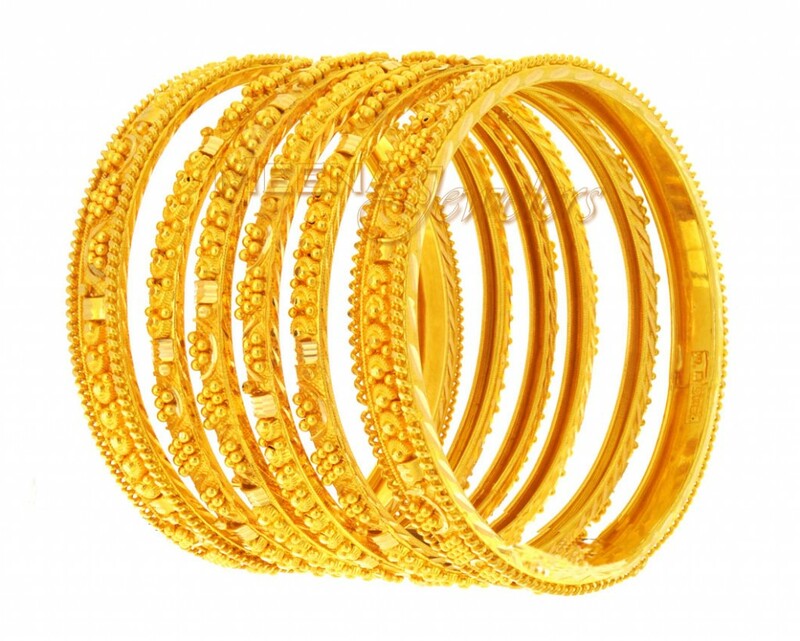 The embedded stones of these bangles shine at every turn of your tender wrist. 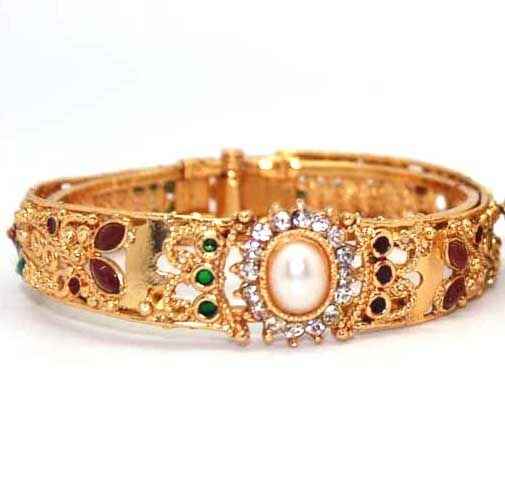 Handcrafted in Rajasthan, this lac bangle set is a tribute to femininity. 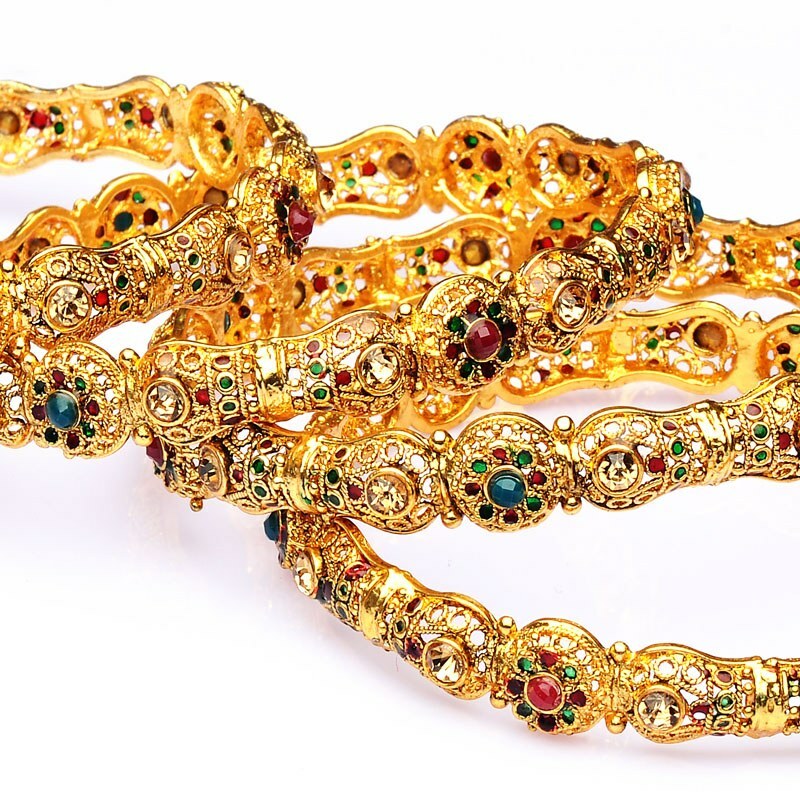 This set of pink mirror work lac bangles has been crafted in Rajasthan. Amidst the dreariness of the dry deserts, grew up a culture that is colorful and vibrant. 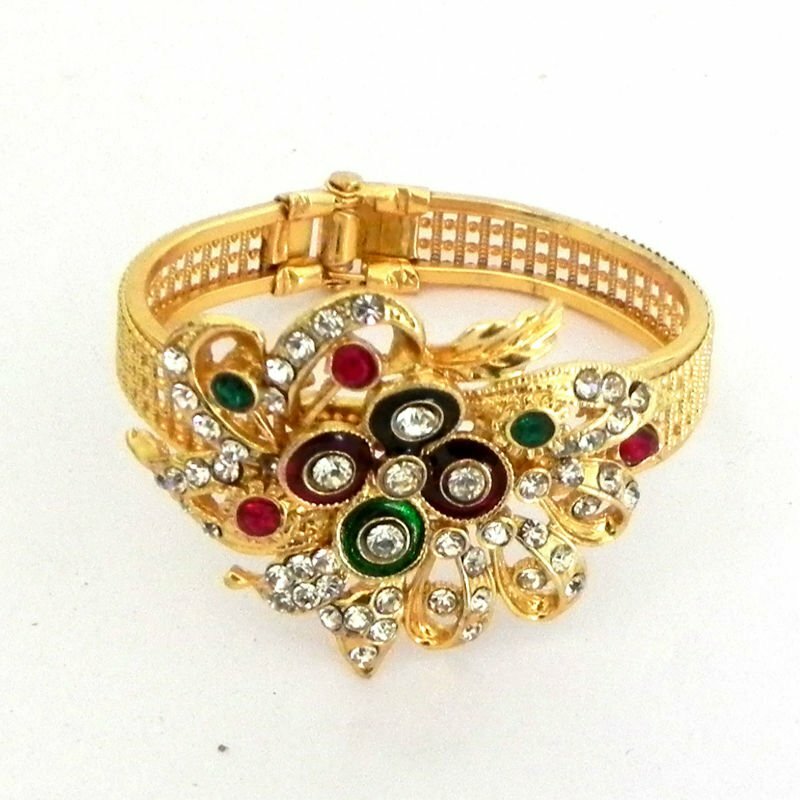 This inherent vibrancy of the people expresses itself in the pink shade and ornate mirror work of the bangles.